Philippine President Benigno S. Aquino III on Wednesday enjoined the participants of the Association of Southeast Asian Nations (ASEAN) Tourism Forum (ATF) 2016 to work together and share experiences to enhance the region's tourism sector. Like the Philippines, tourism is also a major industry in Malaysia, Thailand, Indonesia and Vietnam, which lead the pack when it comes to attracting tourists, Aquino said. “We belong to a region that holds vast potentials in terms of tourism,” he said, noting that 2014 saw tourist arrivals in ASEAN reaching 105.1 million, a staggering 42.4 percent increase from 73.8 million tourist arrivals in 2010. Of those 105.1 million visitors, he said, 49.22 million came from within the ASEAN itself. 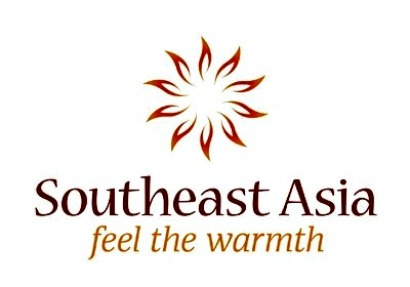 “The strong interest that our peoples had in visiting each other’s countries highlights a potential to accelerate the growth of intra-ASEAN tourism, which redounds to all our benefits; not only does it contribute to our respective growth agendas, it also fosters greater understanding and strengthens the ties that bind our people,” the President said. He pointed out that ASEAN integration has made the regional grouping a more attractive destination for visitors from other parts of the world, and the entire region should capitalize on this. ASEAN, he said, can woo tourists from North America, South America and Europe. Aquino said an ASEAN roll-on roll-off system has been in the works for some time to enhance maritime connectivity. Moreover, the Philippines has done its part to facilitate ease of transport to and among its islands through the pocket open skies policy that gives foreign airlines unlimited takeoff, landing, and passenger conveyance rights to all Philippine airports except Manila. At the same time, the government has also implemented the Tourism Road Infrastructure Program (TRIP) to make tourism sites more accessible, he said, adding that of 463 projects, 111 have been completed; and 352 are ongoing, under procurement, or undergoing detailed engineering designs. Aquino encouraged the forum participants to impart their knowledge towards the crafting of a comprehensive ASEAN Tourism Strategic Plan from 2016 to 2025. "As such, I encourage all of you today to engage our brothers and sisters from the region. Share your thoughts and experiences freely and build consensus the ASEAN way, with the goal of progressing as one region," he said. The ASEAN Tourism Forum is a cooperative regional effort to promote the ASEAN region as one tourist destination.